Getting a cold is many people’s worst nightmare. It seems as though no matter how much we try, we just can’t shift it. Many turn to old tricks that are supposed to beat the germs. So is chicken soup actually good for a cold? This could be the cure we’ve been looking for all this time. It seems as though chicken soup doesn’t just help cure a cold – it can help prevent us from getting one in the first place! The study is back from 1998, but the results show a bowl of the broth is enough to help improve cilia function. These are the small hairs in our nose that help stop any unwanted germs from getting into the body. Our bodies naturally work to fight off any illnesses thanks to our wonderful immune systems. However, all that extra work means we need more fuel to keep going. Chicken soup is an excellent source of calories that will help to boost our bodies when it’s helping to keep us healthy. Plus, the soup is easy to digest meaning we don’t have to worry about causing issues elsewhere in our bodies. It’s the joint tissue from the bones used to make chicken soup that can have multiple effects. The chondroitin, glucosamine, and gelatine are all absorbed into our bodies where they go towards helping repair any damaged connective tissues. This, in turn, also helps to reduce any inflammation that might come as a side effect of having a cold. One of the worst feelings from having a cold is being completely congested. Although it can be hard to ignore, it looks as though chicken soup could be our savior. Chicken is rich in carnosine which helps to reduce any congestion in our nose and throat. This is because carnosine is thought to stop white blood cells from migrating to our upper respiratory tract which helps to reduce any inflammation in the area. Having a cold can see many of us doing almost anything to boost our immune system. Thankfully, other ingredients in chicken soup, such as the vegetables, garlic, and onion, can all help to boost our immune system. They are packed full of minerals, such as sulfur, silicon, phosphorus, magnesium, and calcium, in a form that is easy for most of us to absorb – regardless of feeling under the weather! 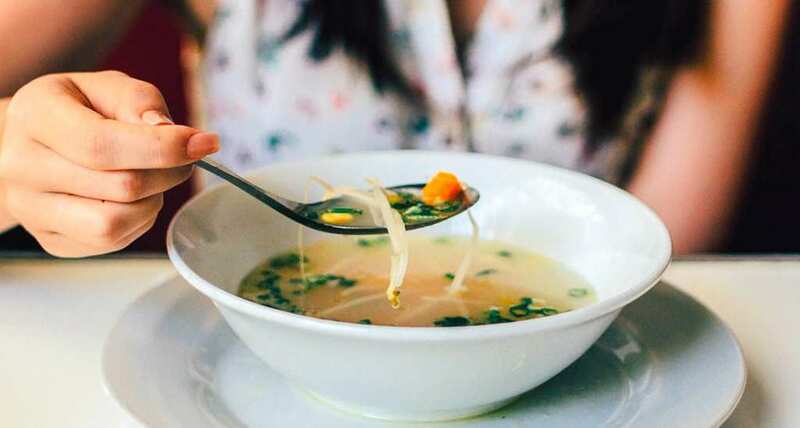 Many of us have heard of the placebo effect, and it looks as though using chicken soup to fight a cold might be just another to add to the list, the idea is if we believe it will help enough then the soup will actually start showing cold-fighting effects. Sometimes, it’s all about using mind over matter to make sure we are back up and running in no time. It seems as though chicken soup really can help us fight a cold after all. Who would have thought there could be so many sick-busting effects from a bowl of the good stuff?